At the age of 12, Latrice Collins stared her love affair with Christ. It is through that relationship that she has found her talents, gifts and desire to grow God’s children. Latrice has been heard saying, The Career Brand for Christians is her favorite book. Why? Because this book wraps the principals of God, with the uniqueness of the individual and their career brand attributes to form a truly powerful person. Latrice believes, The Career Brand for Christians is more than a book, its is a MOVEMENT for healing hearts and developing individuals into their highest potential (how to get promoted). 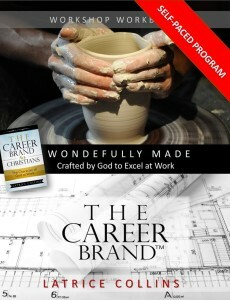 It’s built to strengthen your career brand while rejuvenating your Christian walk. Hear what people have to say about The Career Brand for Christians! 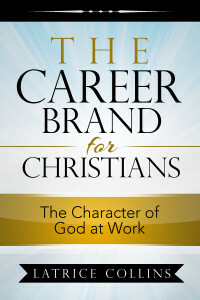 Click here to order your copy of The Career Brand for Christians today! If you are really interested in enhancing your experience try sign up for Wonderfully Made. This is a self pace programs which includes walk through audio presentations from Latrice Collins. You can imagine her right with you as she shares ideas and tips for enhancing your Christian Career Brand. I’m Ready! Click here to buy Wonderfully Made it today!